"I left you something on the nightstand," she said. "You did? What is it?" "Just turn over and look," she pleaded. He turned over to look, hesitantly, not wanting to look away from her. She always seemed to disappear every time he looked away. A manila envelope lay atop the white rustic nightstand and the word "Ryan" that was penned across the front was beckoning him. He glared at the envelope for just a moment before turning back to her. But she was gone. As Ryan Boone struggles to come to grips with not being able to keep a promise he made to his dying wife, Larkin's Letters propels readers into the mind of Ryan as he struggles with frequent visits from her ghost and a series of letters she leaves behind. Ryan worked hard to become one of Hollywood's most sought-after actors, but no matter how busy or famous he became, he always remained loyal to his childhood best friend, Larkin James. When Larkin is diagnosed with leukemia, Ryan sacrifices his career to be by her side and in turn realizes how much he had always loved her. Throughout Larkin's sickness, Ryan promised that he wouldn't let her die alone. But we learn that not all of our promises are within our control. My dearest Larkin. Help me. I'm drowning. 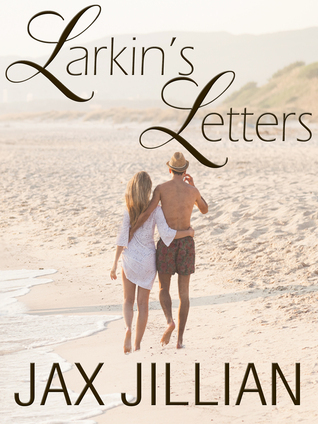 Ryan's Letters, the sequel to Jax Jillian's first novel, Larkin's Letters, takes readers on a journey with Ryan Boone as he struggles to completely come to terms with his wife's death. That struggle becomes even harder when Larkin's ghost comes to visit him each time he writes to her. But when Lux, a beautiful new doctor, moves in next door and befriends Ryan, he must choose between Larkin's visits and a potential new love. Jax Jillian was born in Albuquerque, NM but before she turned a year old, her parents moved east to Harrisburg, PA where she was raised. After graduating high school in 1995, Jax attended La Salle University (1999, B.A., Communication), Temple University (2001, M.Ed, Sport & Recreation Administration), and Central Pennsylvania College (2005, A.A.S, Physical Therapist Assistant). She settled in Philadelphia, PA with her husband and son before she became a writer. Jax found a passion for motion pictures at a young age when she remembers “getting lost” in films, and that passion ultimately led her down the path to writing. she loves “getting lost” in her writing and particularly loves writing heartfelt love stories with a touch of tragedy which she believes is the key to truly reaching readers. 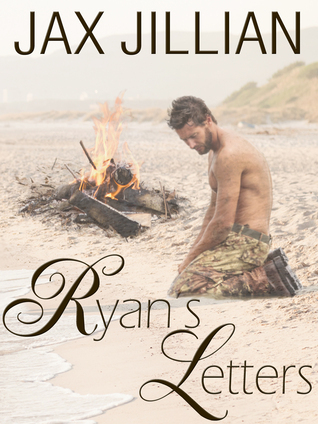 Jax is the author of Larkin’s Letters and Ryan’s Letters, two contemporary romance novels that have seen early success from reviewers, with both averaging 4.8/5 stars on Amazon and Goodreads. She is currently writing her third novel and aspires to write a screenplay one day. When not writing, she works full time as a physical therapist assistant and as a mom to her three-year-old son.